These beautiful vintage botanical drawings underscore delicately the deep human urge to alter consciousness in search of new ways of relating to the familiar world of everyday life. These unassuming plants have wreaked havoc in the most recent epoch of human history - the simplicity and elegance of these prints make it all the more clear that it is NOT the *plants* that have wrought the disturbances of the Drug War and so on, but the faulty actions of human beings. 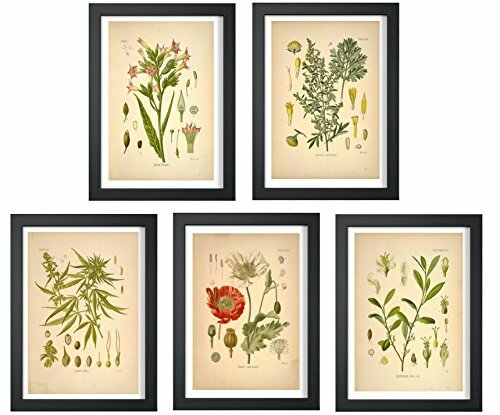 Framed or unframed, these prints look lovely in any room of your home. Prints are shipped flat in a heavy duty rigid mailer, never rolled!